At just 23-years old, Kota Banks has toured nationally with Nina Las Vegas as part of the FOMO Festival trail, alongside securing a publishing deal with Mushroom and signing with the esteemed New World Artists. She has recently delivered a run of debut live shows at NLV Records parties Sydney and Melbourne with her partner in crime Swick and label namesake herself Nina Las Vegas. Banks’ latest single “Zoom”, a confident and flirtatious pop banger, has achieved full rotation on triple j following its Good Nights premiere in March this year. The sweet and slick came hot on the heels of her first infectious summer gem with NLV Records, “Holiday”, which since its release in late 2017 has amassed over 1 million streams on Spotify, garnered major support from radio, Junkee, Pilerats and Acclaim, and been hailed as “one of the best pop songs of the year”. The release of her single “Empty Streets” feat. MOZA also cracked the Top Five Global Viral Spotify charts, reaching over 17 million streams and seeing support from international tastemaker Majestic Casual. In addition, Banks climbed the ranks to be named Apple Music’s New Artist of the Week in April this year. 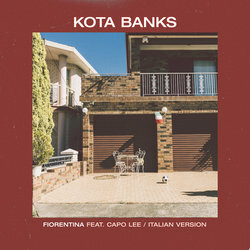 This version of “Fiorentina” features silky Italian lyrics sung effortlessly by Banks, illustrating her vocal capabilities and artistic depth to push the boundaries of her genre. With a change in language almost undetectable due to her relaxed and infectious vibe, this is an unmissable accompaniment to the soulful, sugar-coated track.